With 2,344 sf. the West Tisbury Post and Beam Cottage has 3 bedrooms and 2 1/2 baths. Step inside where a comfortable foyer says "Welcome to our beach house!" Natural wood and a white tongue and groove ceiling give a light and breezy feel to this great room. 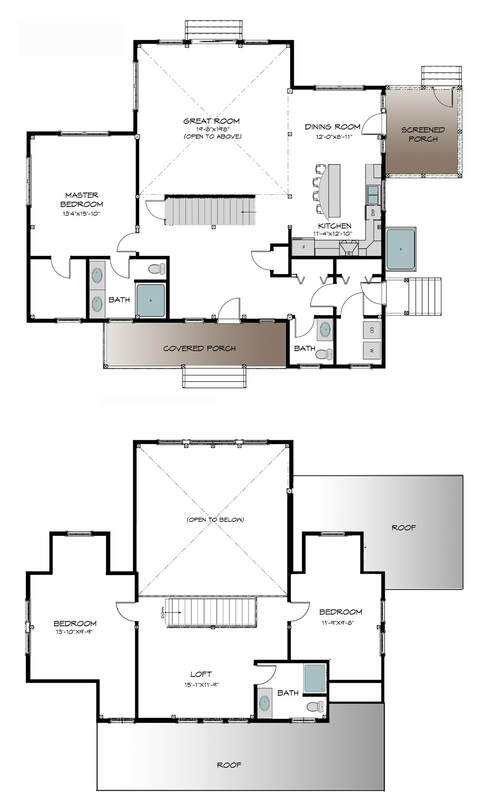 The master bedroom and en-suite are located on the first floor. The 2nd floor has two additional bedrooms and a loft with cable railings which allow for a clear view into the cathedral great room. Subtle pops of color add whimsy to this cool, neutral space. Natural cedar shake shingles and a convenient outdoor shower complete the beach cottage look.